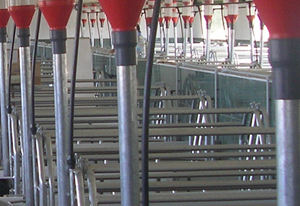 We design and engineer all types of livestock facilities, offering a fully integrated complete service. 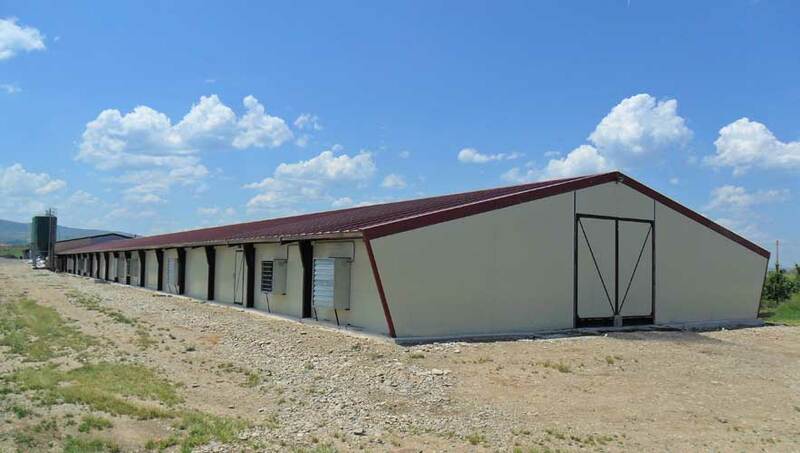 We build your livestock facility after an analysis of the geographic location and the animals’ needs, always using first quality materials with functional and aesthetic finishes. We provide all the necessary equipment for your premises’ interior, installing temperature and environmental control systems, phone alarms, electric panels and the required security systems, highly resistant silos, feeders, drinkers, windows, heating, ventilation, water treatment systems, etc. 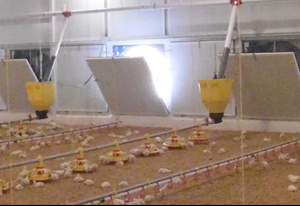 In short, we provide all the equipment you may need for an efficient and profitable management of your farm. We adapt to your project or if you prefer, we can propose the facility that best suits your needs, providing plans and specifications to develop your project in the future. We manufacture and install galvanised or painted structures according to your needs, with different types of roofs for appropriate insulation according to the geographical area: Pre-lacquered sheet, with false ceiling and insulation, sandwich panel or interior PVC panels. We commit ourself to offer you the best solution in order to achieve a maximum level of transparency and lighting: rectangular building and metal structure made up of gantries and supports of the same material. Our engineering department provides the technical support necessary for civil works. We can carry out your project or propose alternatives for an efficient and profitable management of your livestock operation. We use the most suitable high quality materials, such as the S355 corrugated steel sheets in pillars, girders and belts. Our products conform to all prevailing regulations. We follow EA-95 norms for steel structures and EHE-98 norms for concrete elements and we can also adapt to your country’s legislation. Assembly with high quality 8.8 bolts. Made of galvanised steel S355 of high elastic tolerance or any other required material. Galvanised steel sheet Z600 or an alloy of zinc, magnesium and aluminum. We can also use any other type of frame depending on the project. Windows are placed for an adequate ventilation. A location study can be done according to your needs. They can be operated by manual or motorized lathe with climate control. Different types of windows: Guillotine, sliding or folding. Made of lacquered aluminum, cellular polycarbonate, PVC, plasticized polyurethane, etc. Pre-fabricated concrete enclosures or insulated sandwich panels. A ceiling with false ceiling and chamber to provide greater insulation and hygiene inside the facility. Different materials according to needs. Pre-lacquered sheet, polyester or aluminum foil in the bottom side of the panel in order to avoid condensation and oxidation. Aesthetic finishes that provide a great tightness to the building. Doors are adapted to the facility dimensions and are made of different materials according to your needs. Doors can be made of pre-lacquered sheet with tubular stiffeners, aluminum frame or PVC. Sheet, PVC or sandwich panels can be installed. Optionally, we can manufacture a gate with a folding door 0.95×1.95m. Folding doors 1×1.95m or other dimensions can be placed where needed.